Set in a quiet hamlet in the Montefrio and Alcala la Real area just off the main road this superb family home has been updated to a high standard so is ready to live in whether as a family home or just for holidays in the sun! On the ground Floor there is a large family lounge with exposed wooden beams, a fireplace with cast iron log burner, the kitchen has high quality wall and floor Units and is fully equipped. There are 2 double bedrooms and a large shower room on this floor too. Upstairs on the 1st floor there is a large landing area. On this floor there are two more bedrooms - one has an en-suite shower, and there is a large family bathroom complete with full-size bath. 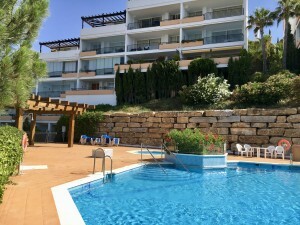 Outside there is a lovely tiled swimming pool approx 8m x 5m and there is a paved terrace surrounding the pool with mature grapevines providing shade for the summer, plus a seating/BBQ area so you can relax by the pool. There is a poolside shower too and parking is available for several cars on hard standing area next to the house. It also has a decent tool shed which currently is used to store the wood for the fire but could be made into a workshop. The village has a local bar and a bus service that goes to Montefrio and also to Alcala la Real. Local delivery vans also serve this village. 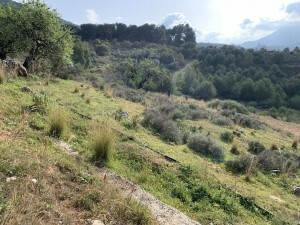 A great place to live and enjoy rural Spain!